When I leave Winchester in a few weeks’ time, I will take with me many fond memories and, although the weeks in question are largely consumed by some less-than-trivial exams, I thought that some premature recollections would help me illustrate why Winchester has been such a special place for me. Some of these are sporting, some academic and others have been an extension of the College activities during holidays. It might sound unfashionable to say so, but I think my strongest memories have been forged in the classroom. This is not surprising since the stand out aspect of Winchester’s individuality lies in its academic reputation and traditions. On the one hand, I was given free rein last year to synthesise a superconductor, something that has never been completed before in a secondary school, while on the other I shall never forget a particular Div lesson, when a fellow classmate, by marginally altering Caesar’s final line to “Est tu, Brute?” made it sound as if Caesar was simply having trouble recognizing his friend. While we take public exams seriously and the overwhelming majority of grades are A stars, I have never felt that exams have constrained a broader academic learning. Pre Us, which we take instead of A Levels, give us the freedom of a broad syllabus and allow us to love our subjects in their own right, rather than simply as a means to an exam grade. I mentioned Div just now, a uniquely Wykehamical concept, and it deserves some explanation. Think of it like The Week magazine, whose strap-line is ‘All you need to know, about everything that matters”. Change that to “All you need to know about anything you want” and you pretty much have it. There are 51 Divs in the school and although any one Wykehamist can experience a mere 10% of the available Div Dons in his five years here, there is a huge range of enthusiasm, knowledge and experience that a pupil will come across outside his chosen academic subjects. I have stumbled my way through Beowulf in its original Old English, dabbled in Aristotelian philosophy, and held countless debates on politics, history, and art. To be fair and in contrast, I have been allowed to give vent to the Physicist in me and try to explain quantum mechanics to Mr de Bono and the non-scientists in his Div. I don’t think that Div alone makes Winchester unique, but it is the structure on which everything else here hangs and the fact that particle physicists can rub shoulders with Russian students while discussing Renaissance Art shows how versatile a discipline it can be. Clearly there is much more to life at Winchester than just the classroom. There are 48 pupil-led societies here at the College, ranging from the Debating Society to the Hispanic Society, via the Astronomy and the Natural History Societies. Boys can investigate anything that piques their interest and new Societies often spring up to satisfy a group of inquisitive Wykehamists. This year alone has given rise to the Car Society, American Politics society and, notoriously, the Metal Detecting Society. Sport is a major part of life at Winchester. You have, no doubt, heard about the plans for the new PE Centre. If not, you soon will. The PE Centre epitomises the huge variety of sport on offer, but a quick tour of the grounds shows what a wonderful place Winchester is to take part in the traditional team sports. 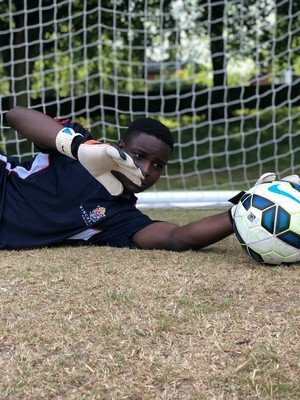 Soccer, cricket, rowing and tennis all have a wonderful setting in which to train or compete and yet we also excel at Rackets, Fives, running and fencing, to name but a few. I could not talk about sport at Winchester without mentioning Winchester College Football. It is only played during Common Time (the Spring Term) and all matches are played between boarding houses or groups of boarding houses. But, however anachronistic it may seem to an outsider, this highly competitive, highly technical sport encapsulates many of the best qualities of Winchester. The game only survives because of a vibrant sense of tradition, and depends on an individual streak, and an intense and inclusive camaraderie. Whatever else I remember from my time here, I will take away countless memories of playing this unique game in the cold and mud. Music plays a central part in every Wykehamist’s life. I was not surprised to hear recently that 80% of the boys in my boarding house play a musical instrument. There are innumerable ensembles ranging from jazz quintets to full-scale symphony orchestras, many founded by boys. Chapel Choir tours regularly, and school concerts are highlights of the calendar. While on the performing arts, thespians can take part in many plays, often directed by boys. There are frequent house plays too. In short, there are many more activities on offer than one person could try to take part in and yet, there is no activity in which you will not be encouraged to excel. If we leave behind Winchester’s beautiful cloisters and playing fields, there are opportunities to travel the world under the School’s banner. I have spent a night in an igloo on a trip to Finland where I witnessed the northern lights (admittedly in the slightly embarrassing (and very cold) position of watching them fresh from a sauna for fear that I would only catch a fleeting glimpse). I have taken part in a 260km triathlon relay across the Lake District as part of the Mallory Challenge and last summer I spent two weeks in Northern India as part of a charitable expedition. Not only had we raised over £25,000 for the charity beforehand, but we then joined the labour force for a week to assist in a building project for a remote school. Those are my experiences over the last two years, but friends of mine have recently travelled to Bordeaux, St Petersburg, Bavaria and Spain as part of foreign exchanges. History of Art trips regularly give Wykehamists the chance to travel to Florence while Classics trips see them in Athens and Rome. So, make no mistake: I am not unique in having these experiences: the opportunities are here at Winchester for your sons to take. Finally, let me touch on Winchester’s social environment. Fellowship between the boys is developed most in the boarding houses and living in such a close-knit community throughout my teenage years has been one of the most formative aspects of my time at Winchester. 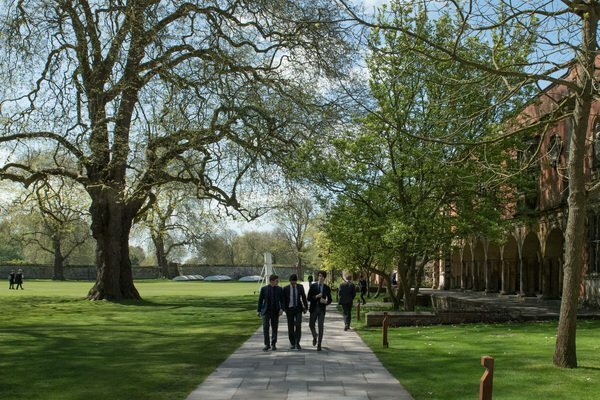 Under the watchful eye of my housemaster and matron, we have lived, eaten, played and studied in the same building; seen the house evolve as one year-group leaves, and another comes along; and built friendships with boys from all over the world. I realise that I have presented an individual experience of Winchester and that is perhaps the key point. A lot of people outside the school, I am already starting to realise, try to pigeon hole Wykehamists as academic or clever in some way, but I think the important thing is that we are individuals and each of us is unique. Were this talk given by someone else in their final term, you might have heard a completely different set of experiences, but I am sure they would have been held together by the same basic ingredients: variety; academic rigour; sport and tradition. Winchester is an elite school, but the men it produces are not elitist; they are understated and measured. When my parents chose to send me to Winchester College, they gave me the best gift of all. Not only am I extremely grateful to them, but I am and will always remain, immensely proud and privileged to be a Wykehamist. Former pupil and Senior Prefect, Oliver Normand talks about why he is and will always remain, immensely proud and privileged to be a Wykehamist.